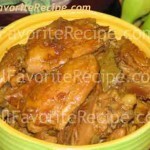 Adobo is a famous Filipino cuisine that uses vinegar and soy sauce in cooking. 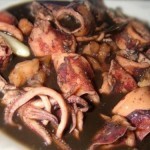 Most of us Filipinos or Pinoys, love tangy and garlicky flavors of food dishes. That’s probably why adobo recipe was born. 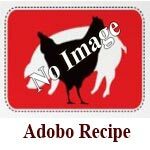 So, when cooking this adobong baboy (pork) and just by smelling its aroma, you’ll surely stop, grab some rice, savor the scent and satisfy your adobo cravings. Combine all ingredients in a big pot except the oil and let stand for at least 30 minutes. Lower the heat and simmer covered until meat is tender for about an hour (checking occasionally for the water not to get dry, just add a little water each time you see its almost dry up). You may adjust the seasoning according to your taste and liking. Drain and reserve sauce. Set aside. Meanwhile, heat oil in a pan over medium heat. 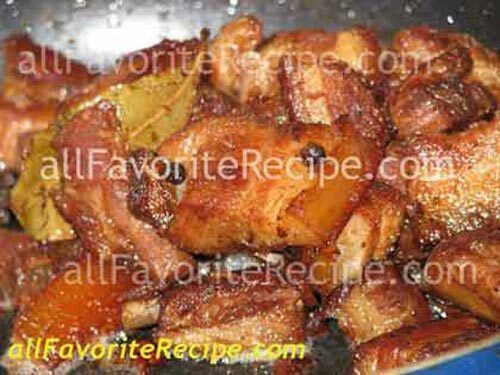 Fry the meat until lightly brown on all sides. Set aside and keep warm. Pour off all remaining oil from the pan. Pour in back the meat and reserve sauce. Mix for about a few minutes while scraping up the bits on the bottom of pan. Ive tried this for dinner tonight and its a big hit…thanks for the tip. My husband liked it. galing.. Wala aqng alam sa pagluluto pero sinunod q lang yan lahat.. Nakluto n aq. Thanks!!! Time to eat..